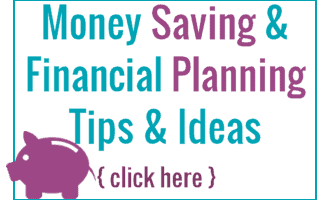 Pasta is one of the easiest and budget friendly meals that you can have. 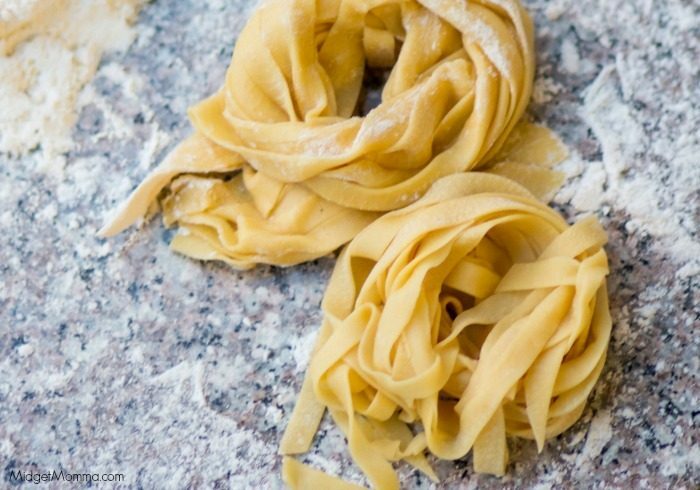 It is cheap to buy the dried pasta but it is also just as cheap to make Homemade Pasta. However the fresh homemade pasta tastes sooooo much better! The first few times are a little tricky as you get used to making homemade pasta but once you get the hang of it, it really is quite easy to make homemade pasta! I highly recommend getting yourself a pasta roller it cuts the process in half.. When you are making your pasta you will want to have a pasta roller you can grab a self standing one like this one or if you have a KitchenAid mixer use the KitchenAid Mixer Pasta Roller attachment. There is also a KitchenAid Pasta cutter that is awesome for making different styles of pasta. When you to roll out your pasta to help prevent it from sticking start by rolling out all your dough into the sheets. When the dough has started to get a skin to it you can flip the sheet of go over, this normally takes about five minutes. When you allow the dough to get the skin to it it makes it so the noodles don’t stick together. The awesome thing about making pasta at home is it is REALLY easy to change the flavor or your pasta noodles just by using different flavor infused olive oils. You can garb this 7 Bottle Variety Pack Can Include: Butter Olive Oil, Rosemary Olive Oil, Lime Olive Oil, Italian Olive Oil on Amazon and be able to change up your pasta flavors a LOT! What I also love about making homemade pasta is that I can make a large batch of it (double, triple quadruple this recipe) and then twist it into “nests” and freeze it. To free the homemade pasta all you have to do is put the nests of pasta on a baking sheet (make sure to spray nonstick spray on the baking sheet) and then stick in the freezer. Once they are frozen remove them from the baking sheet and put into zip-lock freezer bags. Cooking is the same as if they were fresh made, just a few minutes extra in the boiling water. Whisk together the flour and salt in a large mixing bowl. Push the flour to the side of the bowl to create a well for the eggs. Crack the eggs into the well. 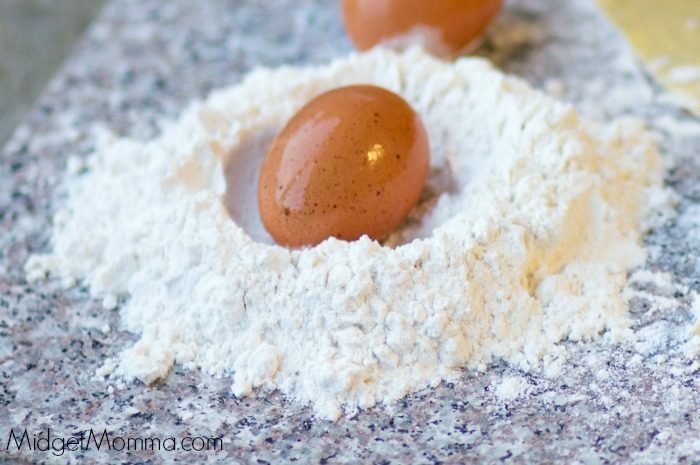 With your hand stir together the flour and egg to create your dough. Stir in your water and oil. Place your dough onto a lightly floured counter or in the bowl of a mixer that has a dough hook attached to it. Need the dough until it forms a nice smooth ball. Place the dough into a lightly oiled bowl and cover the bowl with a towel. Allow the dough to rest for at least an hour. Divide your dough into six even pieces. 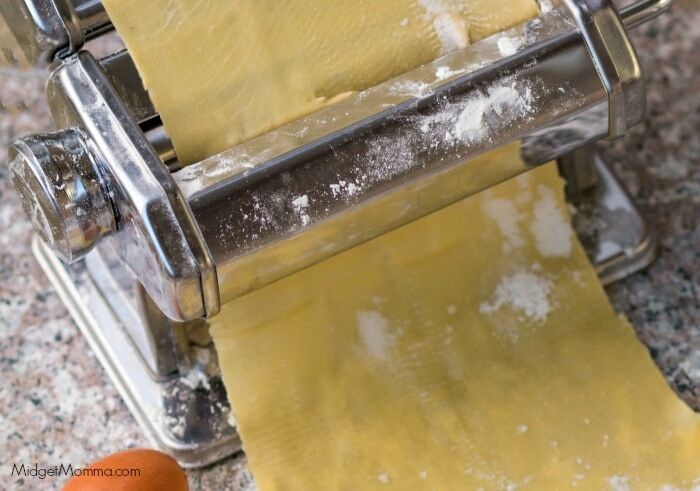 Roll the dough to your desired thickness, I normally go to number two on a pasta roller. Lay the dough out onto a lightly floured counter top and repeat with the remaining pieces of dough. After about five minutes of sitting on the counter flip the sheet of dough so the other side has a chance to get a skin to it. You may now cut the dough into your desired shape. Gently drop the pasta into the boiling water and cook until the pasta is Al Dante, this normally takes about 4-5 minutes. Don’t Miss these amazing Pasta Sauce Recipes to use with your homemade pasta! What a fantastic recipe and easy to make at home! Here is the list of Top 5 baby food recipes for kids that I’ve made. Don’t hesitate to come and share your ideas with me. Thank you!